The Virginia Peninsulas Public Service Authority (VPPSA) is a regional governmental organization providing solid waste management services to ten cities and counties in southeast Virginia. 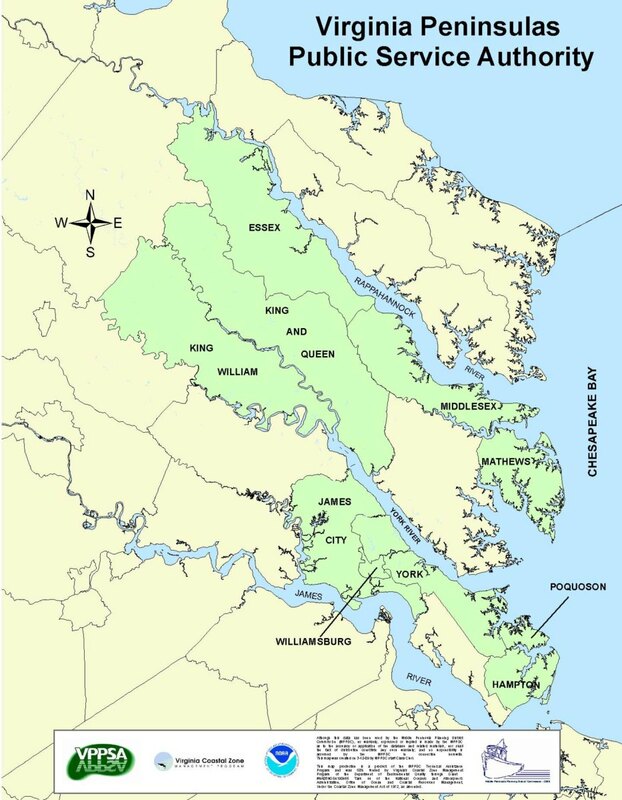 The members of VPPSA are the Cities of Hampton, Poquoson, and Williamsburg and the Counties of Essex, James City, King and Queen, King William, Mathews, Middlesex, and York County. Also included are the Towns of Tappahannock, Urbanna, and West Point.